Tony's Non-League Forum: All Other Football Interests: All other football: Is this the world's most Northerly Football Ground? 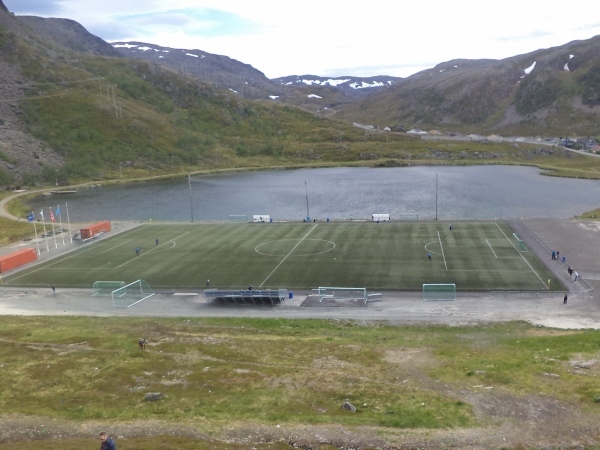 Is this the world's most Northerly Football Ground? Was bored in work today and a mate and I reckon this is the world's most Northerly Senior Football Ground in regular use. Been trying to get info./pics. 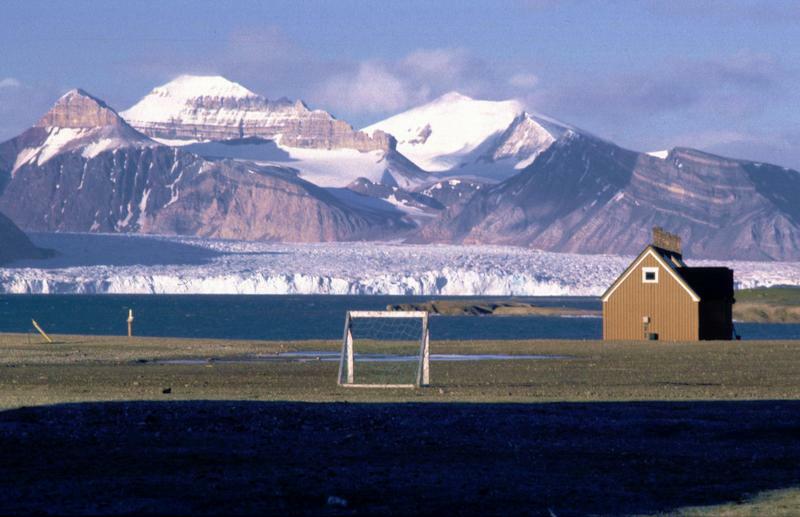 for Qaanaaq, a football club in Greenland & for Longyearben, a football club in Svalbard. The former is supposedly a competitive team in Greenland's miniscule league, while the latter plays just friendlies versus scratch-sides. Longyearben has got to be the northernmost, if it exists. Looking at Google Earth, the following caught my eye, as it seems to be the right shape and size to be a football ground. It's on the southwestern end of town, and if is the ground, would be at 78 degrees, 12 minutes North. oops, didn't seem to want to be included inline. Try this? 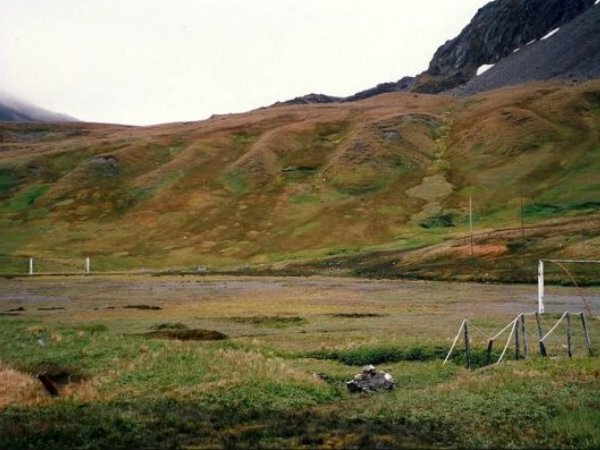 Football is the most common popular sport in Norway, and Longyearbyen has three football pitches; 1 "ballbinge", an enclosed area for children's football, and 2 small football pitches for plays and training, one larger than the other. They are all located behind the Longyearbyen school. They play during winters on a good snow cover and during summers when the ground has dried up after the snow melt. If you are stuck (plane delay, ship), waiting for a new job or want to work up a sweat, bring a ball and try kicking around here. Football training and tournaments are organised by Svalbard Turn. Longyearbyen has a supporter club for English football, and the Longyearbyen plays against Barentsburg 4 times a year. The Longyearbyen tournament between local company also runs somewhat irregularily. Come on then, most southerly, someone on here will know I'm sure. There have been many instances of games being organised in Antartica. ice football etc but I think these should be discounted as not in regular use. So to the tip of South America for regular use grounds, I know there is a rugby ground in Ushuaia which has ,amongst other things,an annual RU sevens tournament. Further south still, although not open age there's a primary school with a football pitch in Puerto Williams apparently. Just pointers gleaned from conversations in the past on this very subject, maybe someone On here has been, that's usually the case! There is a football pitch on South Georgia. Close to Grytviken Dock, there is an area marked as "Fotballbanen" (Norwegian for football field) on Google Maps. This is roughly on the same latitude as Cape Horn. Can't imagine it gets much use, though. Excellent photo, which website did you get it from? I would suspect that the goalposts (which look a bit like old-fashioned Scottish ones) may have been put up around 1982 when there were a lot of British troops on the islands as a result of the Falklands war. Excellent photo, which website did you get it from? Kudos to the visitors for turning up in matching kit. I left on the first boat after the final whistle, but the visitors weren't as lucky. They stayed behind for post-match refreshments and ended up fog-bound for a month. Can you imagine it? Stuck for a month living off whale blubber and constantly taunted with "Can we play you every week?" from the victors . Anyway, Whalers lost the final to Falkland Penguins, who got there when their Argentinian semi-final opponents (Inter Malvinas) scratched before a ball was kicked. 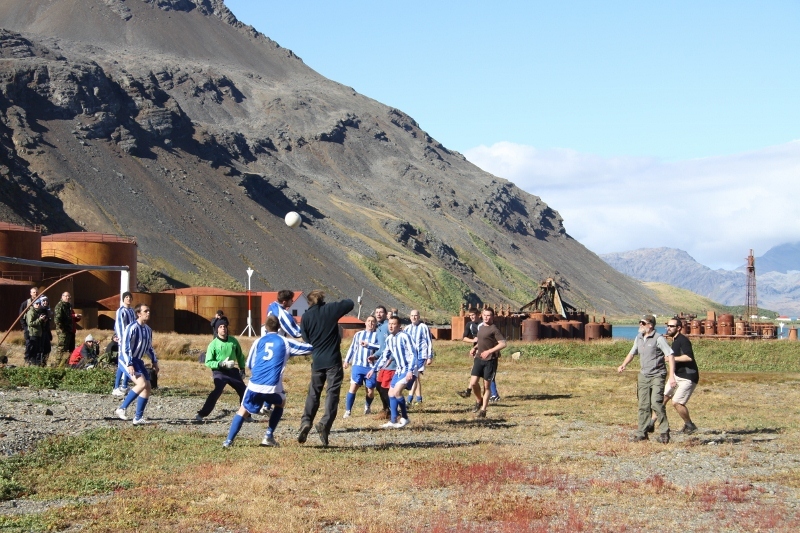 I just did a Google Image search for "Grytviken football", and that was the first hit. No idea how to get to the photo from the Soccerway home page. Spectacular background. Volcanic rock as a backdrop. You won't get that at Wembley!